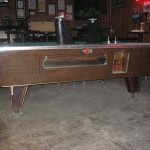 Good ‘Ol Boys Saloon in Anaheim, CA was ready for new pool tables, yesterday we made that happen. After delivering the Angels Fan Appreciation Day pool table prize to Torrance, CA. 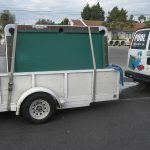 We headed up to Carson, CA with an empty trailer to see the nice folks at Global Billiard Mfg. 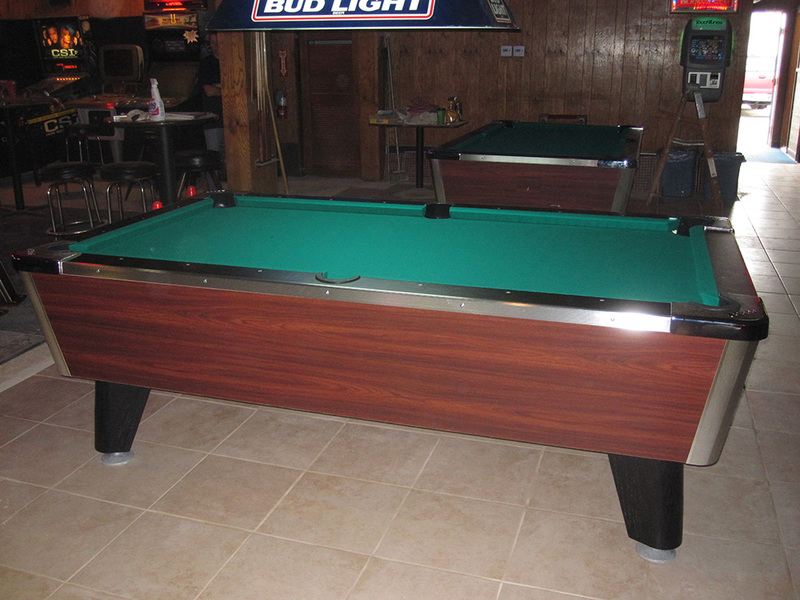 to pickup two brand new 7’ Challenger coin operated pool tables. Things were really buzzing around the factory, but Tom and his son Scott were nice enough to help me load the two 800lb tables into my trailer. After a little billiards chit chat, I hit the road heading towards Anaheim. When we arrived at Good ‘Ol Boys we were greeted with a smile from the bar’s owner, Angela. She was totally stoked to be getting rid of the old, problematic Valley pool tables. The new Global pool tables are a big improvement over the ancient Valleys. The Global “Challenger” offers many innovative features not found on most other coin operated pool tables. One of the best features is the “free play” option, when a bar has it’s league night, the pool table can be easily switched to non-coin play with the turn of a key. 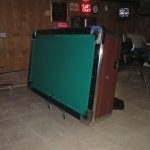 The Global “Challenger” also features full profile K-66 cushions mounted to solid poplar cushion seats, making their rails the liveliest amongst all other coin operated pool tables. There are many other features and benefits to playing on a Global Billiards Mfg. pool table. If the bar that you shoot pool in, has pool tables that are constantly jamming up or just don’t play very well. It may be time to trade up to a Global!